Vision loss can be traumatic and overwhelming. Daily tasks that were once easy are now difficult. You may experience a loss of independence and feelings of isolation or helplessness. You need an experienced and expert eye doctor who understands – and who can offer effective low vision devices and solutions. Our Las Vegas eye doctor, Dr. David Yesnick, will listen to your questions and provide you with the answers you need. At YESnick Vision Center, we specialize in helping Low Vision patients to improve their quality of life. It’s no wonder why nearly 25% of our patients travel in from another city or country! We serve patients from Idaho, Oregon, Mexico, Michigan, and Nigeria.  With two decades of professional experience and top qualifications, we have many satisfied local and international patients. Our popular eye care center is equipped with advanced technology and progressive diagnostics. In addition to expert and accurate treatments that you can depend upon, Dr. Yesnick has a warm, personalized approach. The huge number of our Low Vision patients is clear testimony to Dr. Yesnick’s status as an outstanding and compassionate eye doctor. We offer the only full service, in-office comprehensive Low Vision services in the country. Your driving safety is important to us, which is why we run the Las Vegas AAA Driving Academy. 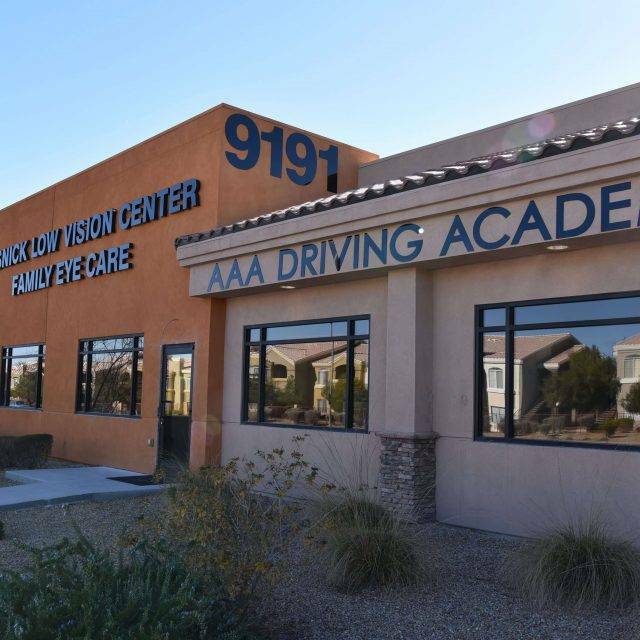 We are the only drivers training clinic in Nevada that aims to keep visually impaired drivers safely and legally on the road. Our unique driving school uses Virtual Driving Essentials, the latest driving simulation technology, to help train people with low vision. For your benefit, we employ senior driving instructors with years of experience. We also equip our Low Vision Driving School with advanced automobiles for optimal safety and the best possible instruction. Dr. Yesnick and his wife, Sandy, founded this non-profit organization after watching the wonderful effects of excellent, professional treatment for Low Vision. However, they recognized that many people with Low Vision were unable to afford proper vision care or treatment. 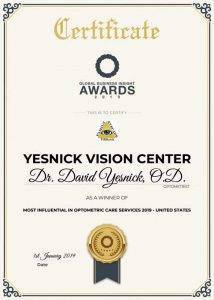 Dr. Yesnick believes that nobody should have to struggle through life because of the high expense of proper eye care. VRC patients are able to work, drive, see their family, and live the way they deserve. The Vision Recovery Center enables all people to benefit from quality vision – and a higher quality of life. Nowadays, there is a limitless variety of options to assist people with visual impairments – and we have it all at YESnick Vision Center! 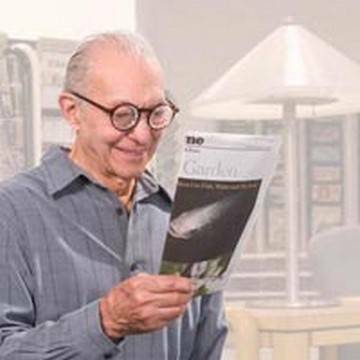 Our collection of low vision devices include magnifiers, bioptic telescopes, computer software for the visually impaired, specialized readers, microscopic glasses, scanning and reading appliances, and more… Dr. Yesnick will evaluate your condition to match you with the ideal low vision devices to enhance your life. Dr. Yesnick keeps up-to-date with all the latest, amazing low vision devices! We offer OrCam MyEye, which is a mini-camera that clips to your eyeglasses and reads aloud into your ear. All you need to do is point at what you want to view, and OrCam will “see” it for you. YESnick Vision Center was chosen to be the first optometry practice to offer this innovative device in Nevada. eSight 3 is one of the newest additions to our range of low vision aids. Developed because “Everyone Deserves to See”, these lightweight electronic glasses sit atop normal prescription eyeglasses, like a hands-free visor. 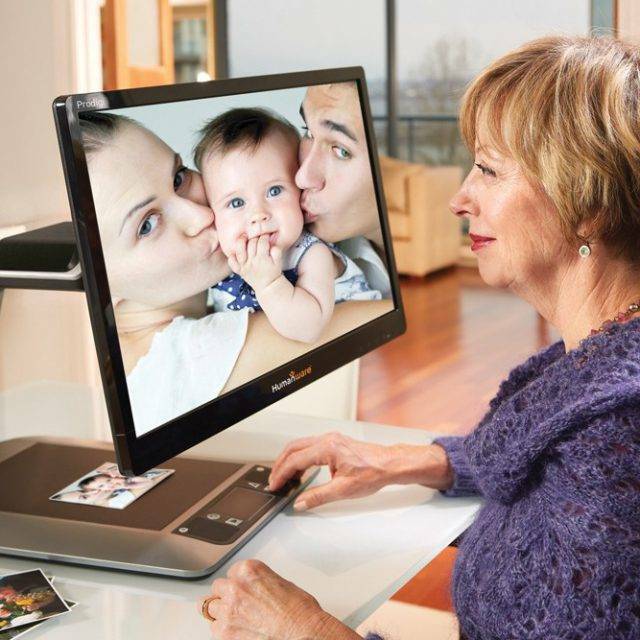 They have a high-definition camera that transmits what you see to a clear video display, with no time lag. eSight 3 restores vision and independence to people who are legally blind. 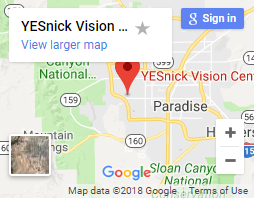 To get your life back from macular degeneration, glaucoma, diabetic eye disease, cataracts, or any other eye condition that causes vision loss, we invite you to visit Dr. David Yesnick, at YESnick Vision Center, in Las Vegas. Ask us how we can help to reduce your travel expenses. Contact our office, or book your appointment online.